La Libertad was a territory of several important civilizations of ancient Peru. Towards the 1st century a. C. emerged on the coast the Moche culture, famous for its ceramic art, and in the Sierra, the Cajamarca culture. The department knew the Huari influence and in the Late Intermediate it knew the expansion of the Chimú Empire by all the North coast and the influence in the high zones of the kingdom of Huamachuco, related related to the northern one of Cuismanco. This state was later annexed to the Inca Empire and then to the Spanish crown. 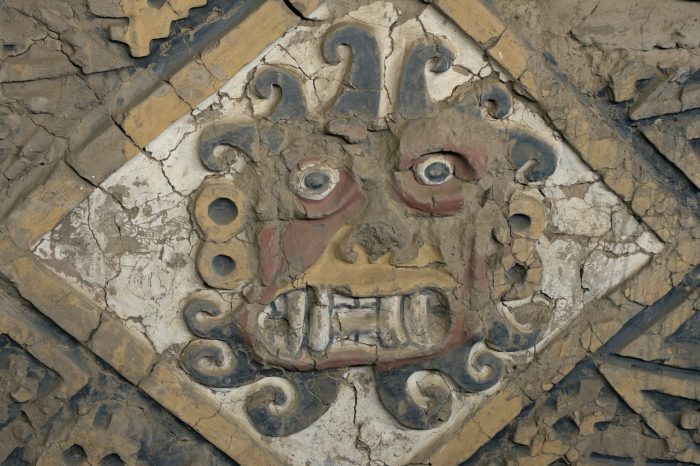 Temples, pyramids and mud cities that survive the inclement weather: Chan Chan, Huaca del Sol and Luna and El Brujo. Imposing colonial architecture and living culture of ingrained customs such as fishing in Caballitos de Totora (traditional boats of the northern coast). Renowned beaches that attract surfers from around the world. Cradle of the sensual and seductive sailor, national dance of Peru. Chan Chan is considered the largest mud city of pre-Hispanic America. The ruins include squares, houses, warehouses, workshops, labyrinths, walls, excellent roads and pyramidal temples or “huacas”. Plaza de Armas or Plaza Mayor considered the largest in the country. In the center stands the granite and marble monument in homage to the heroes of independence. Huacas del Sol of the Moon of the Dragon, Esmeralda, Toledo, the Bishop, Concha and Caballo Muerto. 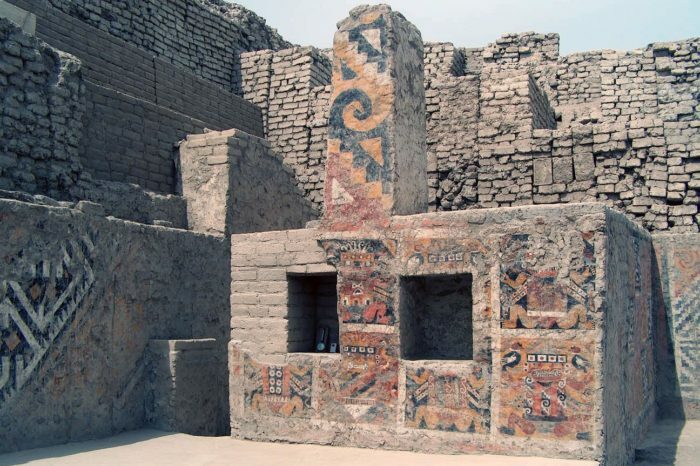 Ancient cultures in Peru. Huanchaco old port of the colonial era. Very busy spa where totora horses live, Other beaches to visit are Las Delicias and Buenos Aires. Haciendas Casagrande Cartavio and Chiclin, famous for being in their time great producers of sugar.